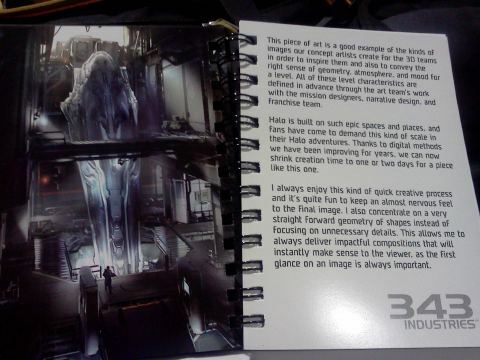 Gears of Halo - Video game reviews, news and cosplay : A sneaky look at some Halo 4 concept art? Some dude put this picture on the net - supposedly is a picture of a publication that 343 Industries slipped into a few people's grabby grabby hands at the GDC. If this is a concept image that made it into the actual Halo 4 campaign... well... is that some kind of giant in there?